So sorry to space it last week and drop the ball on the linky party. Hopefully you were able to catch it on one of the other participating blogs. We were out of town in Hawaii having a blast and totally not thinking about blogging. The world seems to be Minion crazy and you guys are no exception. I had a different theme of featured planned for this week but when I looked through the last few weeks of Block Party it was clear that a Minion feature needed to be done! 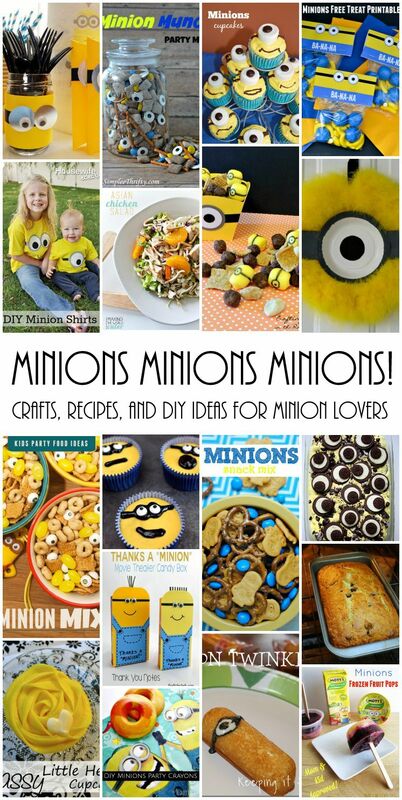 So here are tons of minion crafts, recipes, and DIYs. Minion Party Ideas | Minion Muddy Buddy Munch | Minion Cupcakes | Minion Snack Bag and Printable | DIY Minion Shirts | Asian Chicken Salad | Minion Snack Boxes and treats | Minion Wreath | Minion Cereal Mix | Minion Apple Cakes Recipe | Minion Sweet and Savory Snack Mix | Minion Ice Cream | Thanks a Minion Cards | Chocolate Chip Banana Bread | Yellow Cupcakes |Minion Crayons | Minion Twinkies | Minion Frozen Pops I Marissa from Rae Gun Ramblings am super excited because my favorite two weeks of the year are here! Every year I do a Happy Harry Potter series full of Harry Potter recipes, DIYs, crafts, book reviews, giveaways, and more. This year over 40 amazing bloggers and sponsors are joining it and it all starts bright and early Monday morning. 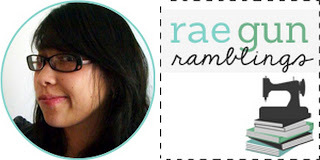 I hope you'll stop by and let all your Harry Potter loving friends know about it! If you haven’t ventured to my neck of the woods recently here are some of my most popular posts since last time I hosted the Block Party! I can't wait to see what you're sharing today. Let's get this party started. Link up here and be linked up to 4 fabulous blogs all at once! We’d love it if you pinned the Minions image above!